BOSTON--(BUSINESS WIRE)--Bone Biologics Corporation announced the engagement of Scott D. Boden, MD as Chief Medical Advisor. Dr. Boden is a tenured Professor of Orthopaedic Surgery at the Emory University School of Medicine and serves as the Director of the Emory Orthopaedics & Spine Center, Vice Chair of Orthopaedics, CMO/CQO of The Emory University Orthopaedics & Spine Hospital, and Emory Healthcare Physician Director of Strategy and Development for Orthopaedics & Spine Programs. 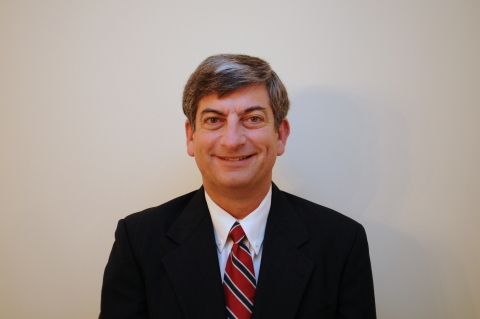 He is also the Clinical Director of the Whitesides Orthopedic Research Laboratory. Dr. Boden's laboratory at Emory University conducts research and has clinical expertise focused on small molecules that are osteoinductive and target different aspects of the musculoskeletal tissue formation pathway; and large molecules that include protein, amino acids and designer chemicals. His achievements include: the discovery of four families of osteoinductive small molecules; safety/toxicity and efficacy profiling; completion of cell culture step; completion of rodent studies for one family of molecules; and carrier supplier identified and contracted. Dr. Boden has received numerous awards for his work and is the author of more than 175 peer-reviewed articles on spine and basic science topics including a paper published for the Journal of Bone and Joint Surgery; as well as 30 chapters and seven textbooks. He is co-editor of Seminars in Spine Surgery, a deputy editor of SPINE, and a reviewer for the Journal of Bone and Joint Surgery, the Journal of Bone and Mineral Research, and the European Spine Journal. Most recently, Dr. Boden served as President of the American Orthopedic Association. He received his B.A. and M.D. from the University of Pennsylvania and completed an Orthopedic Residency at The George Washington University Medical Center, followed by a Spine Fellowship at Case Western Reserve University Hospitals. This press release contains forward-looking statements that reflect the Company's current beliefs, expectations or intentions regarding future events. Any statements contained in this press release that are not statements of historical fact may be deemed forward-looking statements. Words such as "will," "will be," "anticipate," "predict," "continue," "future," and similar expressions are intended to identify such forward-looking statements. These forward-looking statements include, without limitation, the Company's expectations with respect to trading in the Company's common stock on the OTC Bulletin Board; the next phase of the Company's development and testing work; the Company's expectation about moving its technology forward and setting the stage for future growth and enhanced shareholder value; and the future need for regenerative bone solutions. All forward-looking statements involve significant risks and uncertainties that could cause actual results to differ materially from those expressed or implied in the forward-looking statements, many of which are generally outside the control of the Company and are difficult to predict. Examples of such risks and uncertainties include, but are not limited to: future revenues, expenditures, capital or other funding requirements, the adequacy of the Company's current cash and working capital to fund present and planned operations and financing needs, expansion of and demand for product offerings, and the growth of the Company's business and operations through acquisitions or otherwise, as well as future economic and other conditions both generally and in the Company's specific geographic and product markets. Additional factors that could cause actual results to differ materially from those expressed or implied in the forward-looking statements can be found in the most recent current report on Form 10-K, filed with the Securities and Exchange Commission on March 28, 2015 and Form 10-Q, filed with the Securities and Exchange Commission on May 13, 2016. The Company anticipates that subsequent events and developments may cause their views and expectations to change. The Company assumes no obligation, and they specifically disclaim any intention or obligation, to update any forward-looking statements, whether as a result of new information, future events or otherwise. Bone Biologics names a new Chief Medical Advisor.